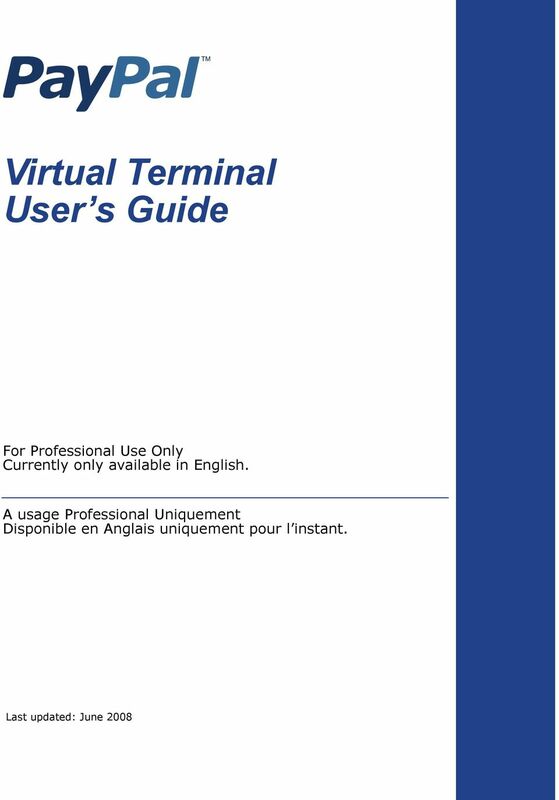 Download "Virtual Terminal User s Guide"
2 PayPal Virtual Terminal User s Guide Document Number: en_US PayPal, Inc. All rights reserved. 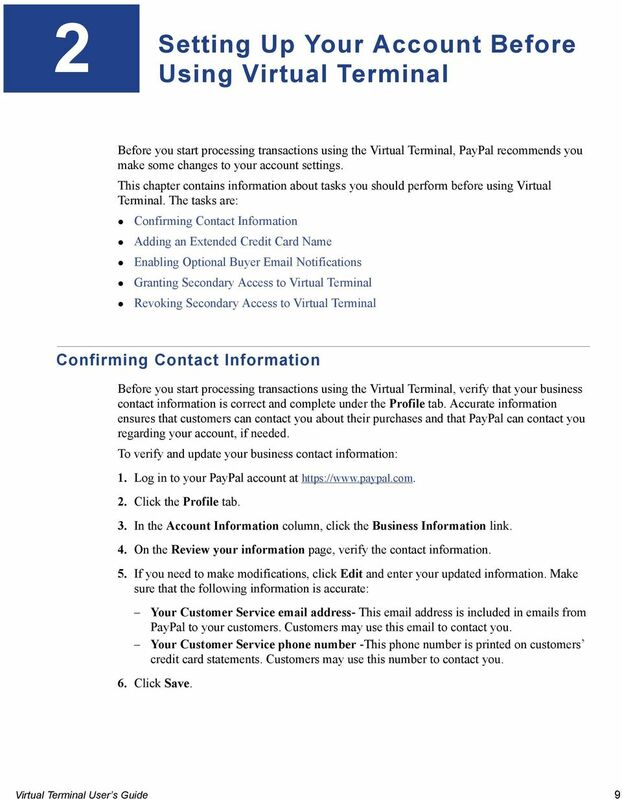 PayPal is a registered trademark of PayPal, Inc. The PayPal logo is a trademark of PayPal, Inc. Other trademarks and brands are the property of their respective owners. 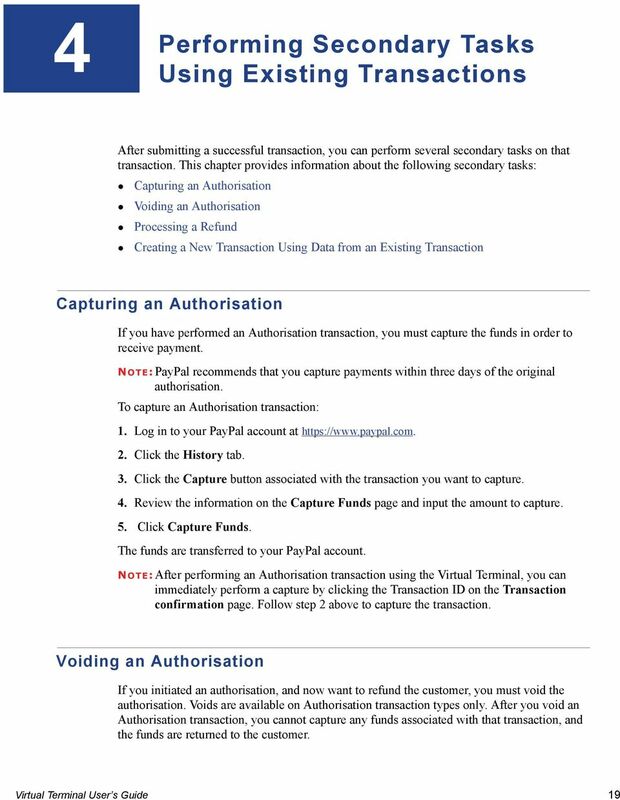 The information in this document belongs to PayPal, Inc. 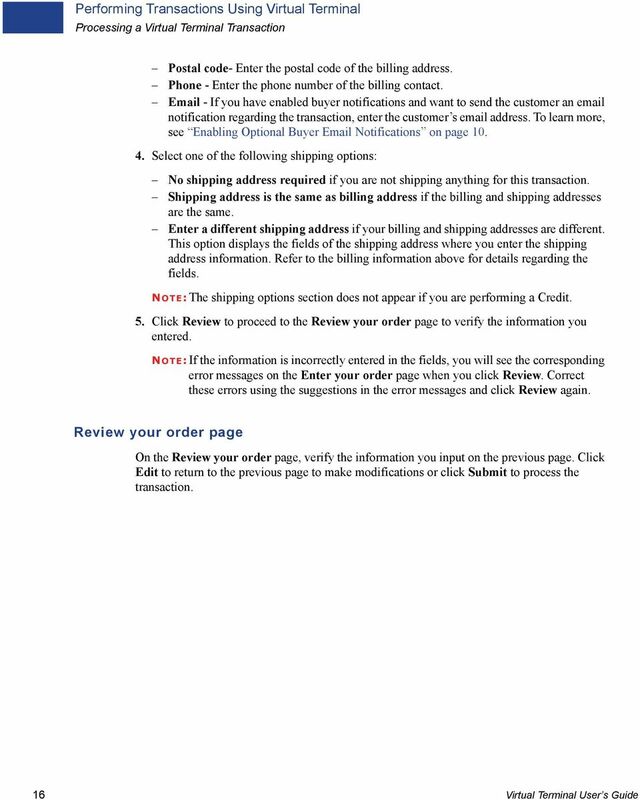 It may not be used, reproduced or disclosed without the written approval of PayPal, Inc. 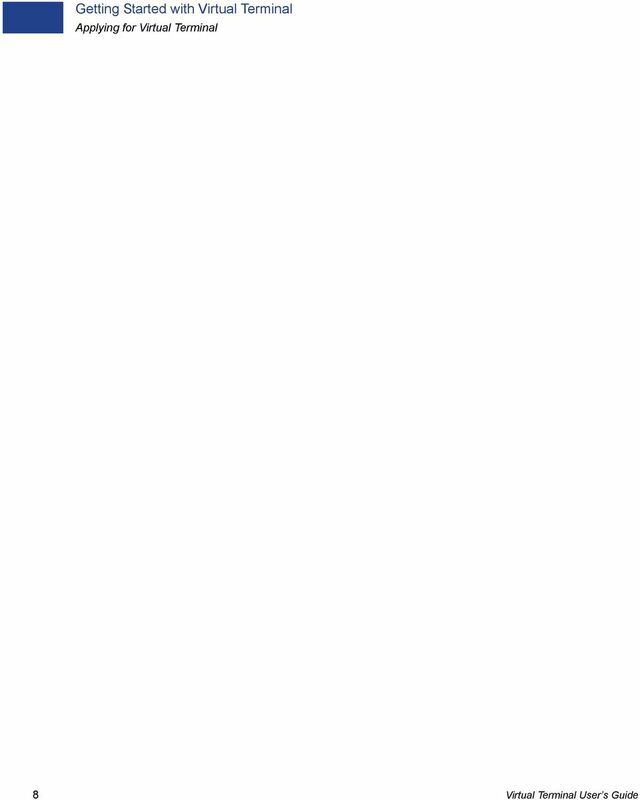 Copyright PayPal. All rights reserved. PayPal S.à r.l. et Cie, S.C.A., Société en Commandite par Actions. Registered office: Boulevard Royal, L- 2449, Luxembourg, R.C.S. 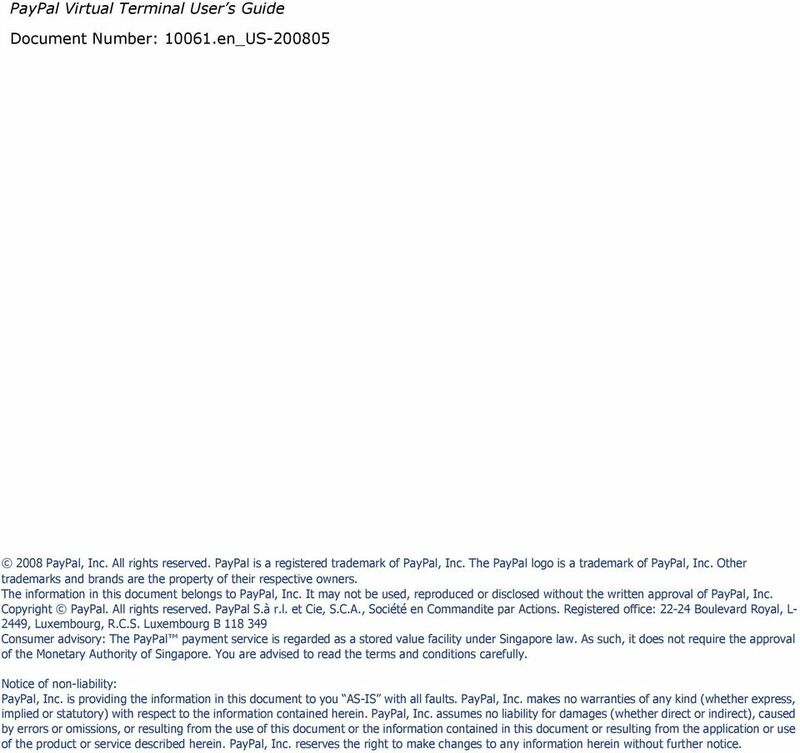 Luxembourg B Consumer advisory: The PayPal payment service is regarded as a stored value facility under Singapore law. As such, it does not require the approval of the Monetary Authority of Singapore. You are advised to read the terms and conditions carefully. 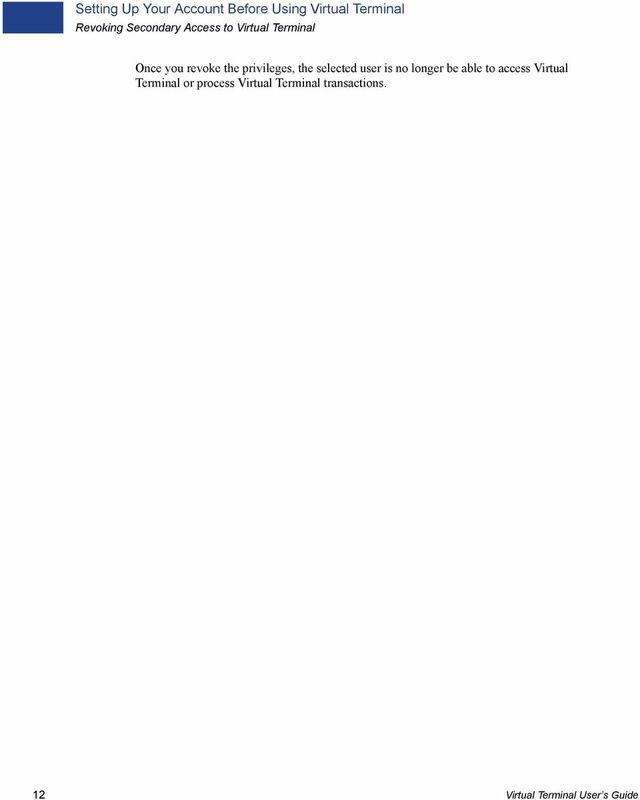 Notice of non-liability: PayPal, Inc. is providing the information in this document to you AS-IS with all faults. PayPal, Inc. makes no warranties of any kind (whether express, implied or statutory) with respect to the information contained herein. 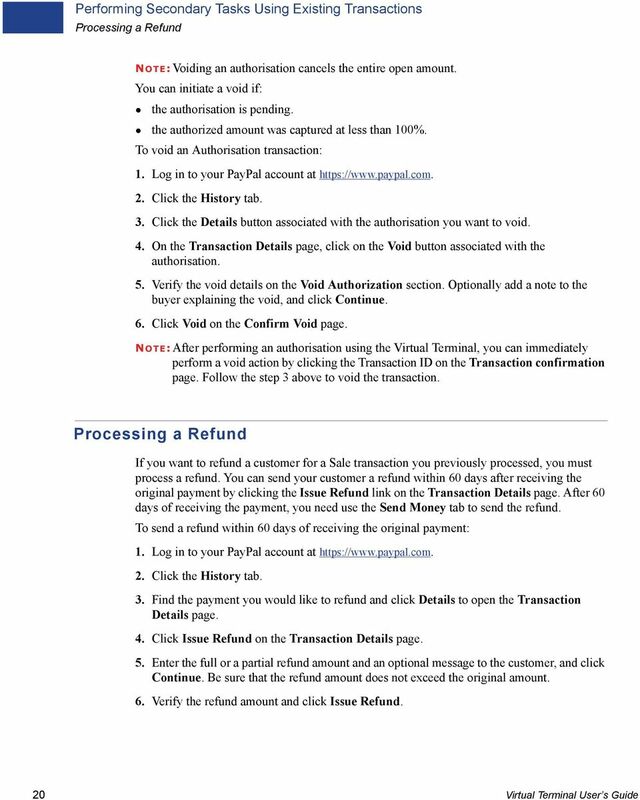 PayPal, Inc. assumes no liability for damages (whether direct or indirect), caused by errors or omissions, or resulting from the use of this document or the information contained in this document or resulting from the application or use of the product or service described herein. 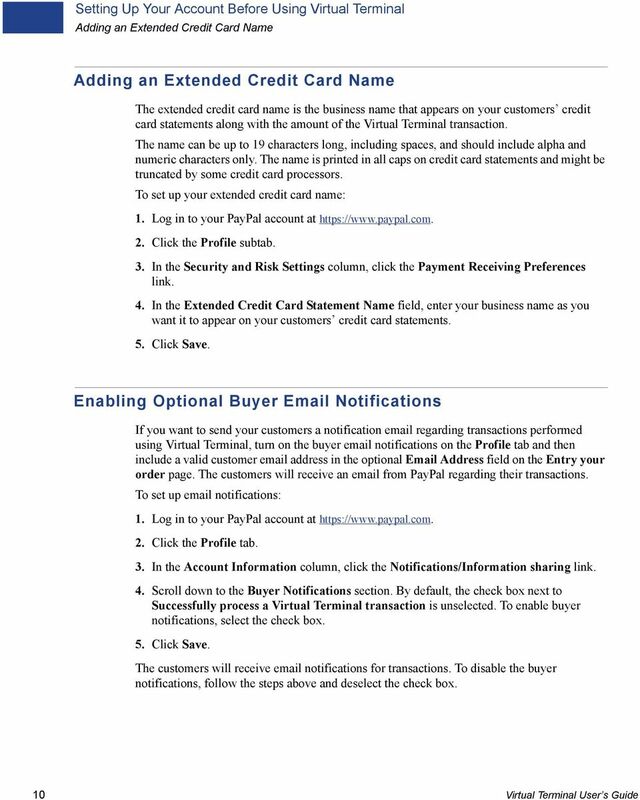 PayPal, Inc. reserves the right to make changes to any information herein without further notice. 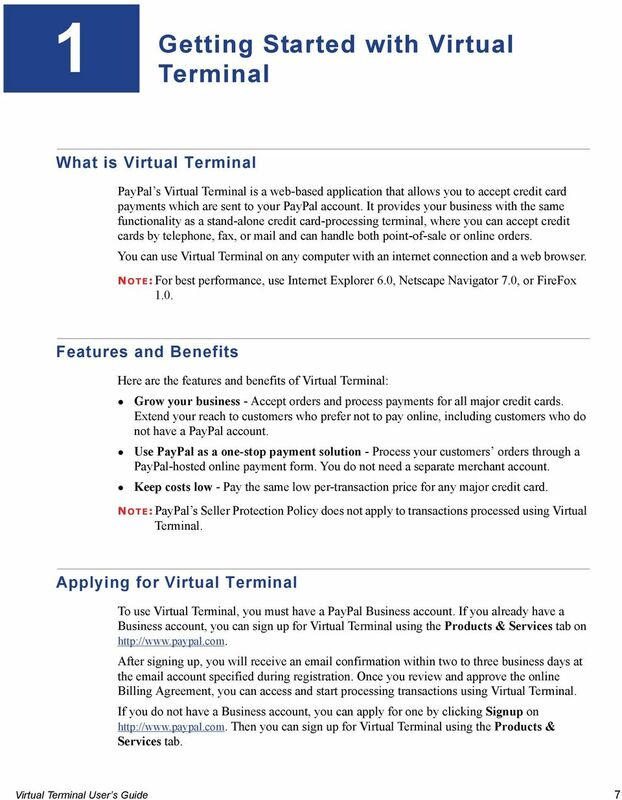 Technical Overview of PayPal as an Additional Payment Option For Professional Use Only Currently only available in English. A usage Professional Uniquement Disponible en Anglais uniquement pour l'instant. 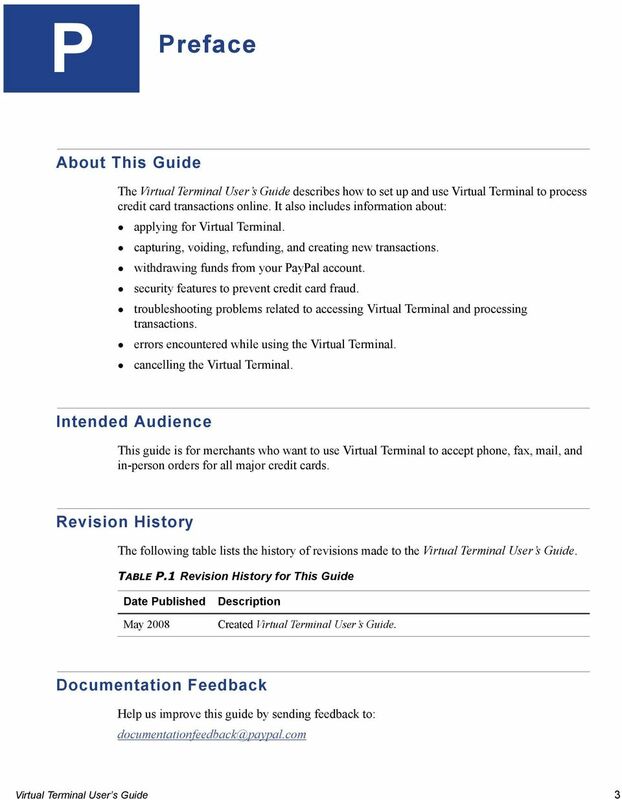 Payflow Recurring Billing Service User s Guide Last updated: November 2013 Payflow Recurring Billing Service User s Guide Document Number: 200012.en_US-201311 1999-2013 PayPal, Inc. All rights reserved. 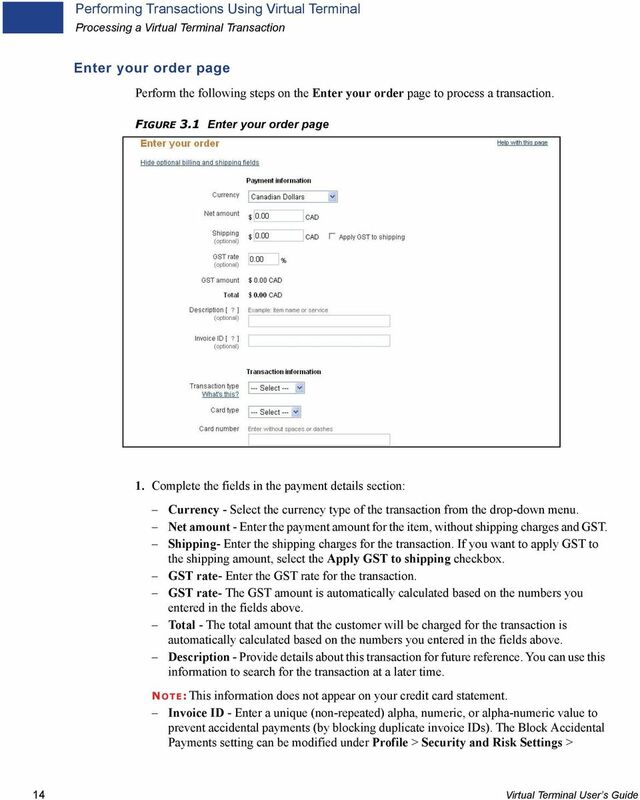 Website Payments Pro Hosted Solution Integration Guide Hong Kong Last updated: May 2014 Website Payments Pro Hosted Solution Integration Guide Document Number: 10115.en_US-201308 1999-2014 PayPal, Inc. Refer to the Integration Guides for the Connect solution and the Web Service API for integration instructions and issues. Yahoo! 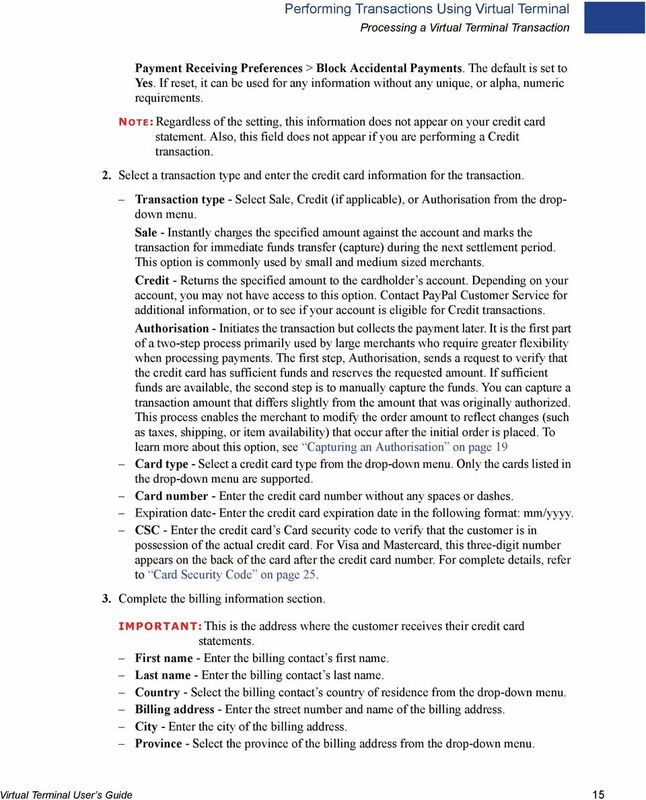 Merchant Solutions Order Processing Guide Credit Card Processing How It Works The following charts provide an overview of how online credit card processing works. 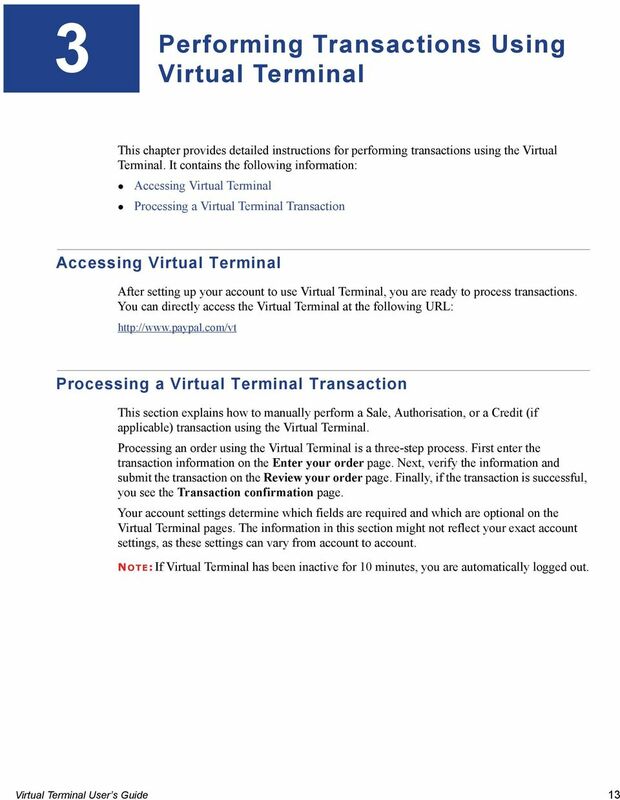 Credit Card processing for Yahoo! 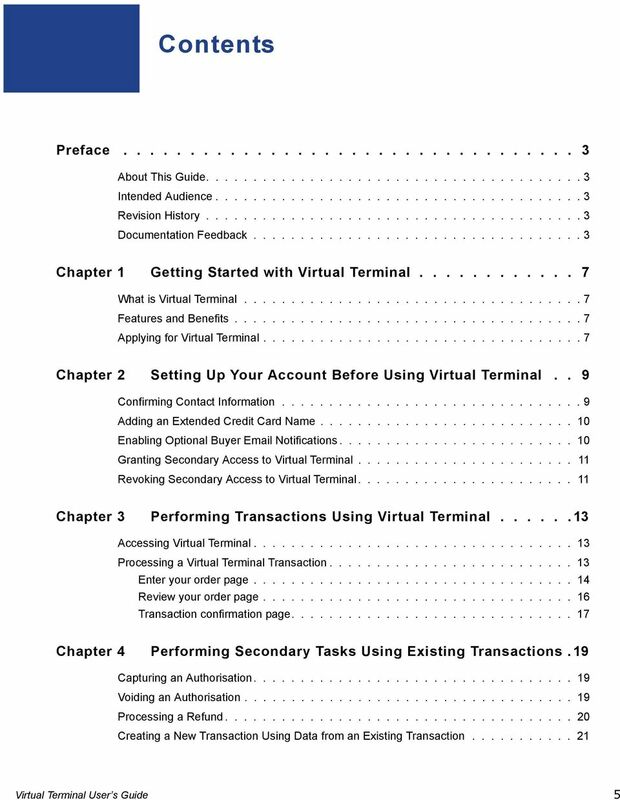 Guide to BBPS and BBMS Blackbaud Payment Services and Blackbaud Merchant Services explained. 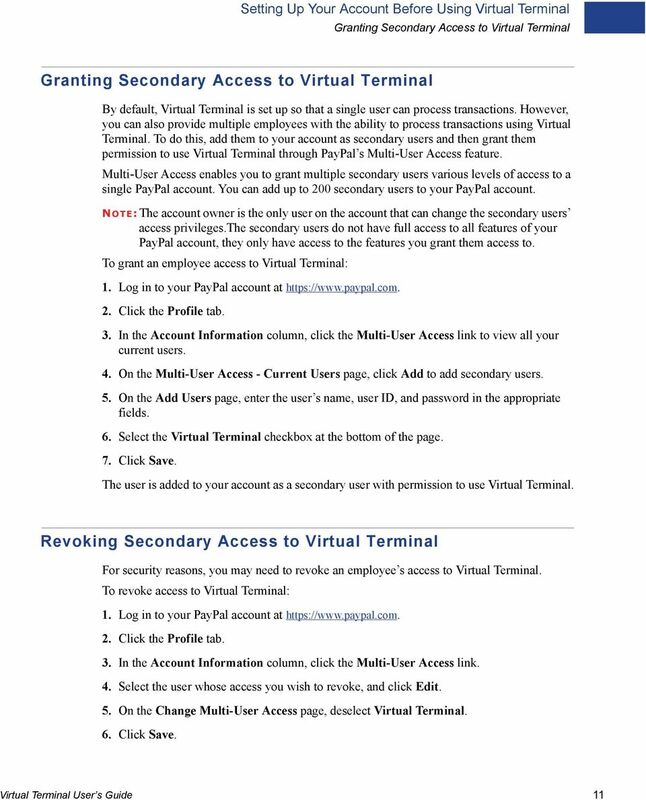 Address Verification System (AVS) Checking The Address Verification System (AVS) is a service provided by credit card Issuers intended to authenticate the Purchaser (Customer) as the authorized cardholder. 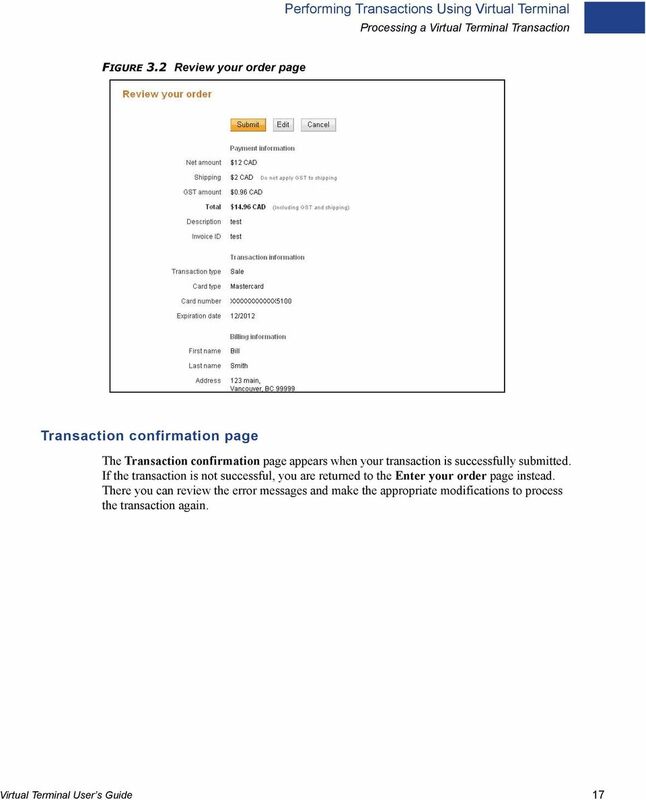 PROCESSING TRANSACTIONS WITH WEB TERMINAL AND RECURRING BILLING Document Version 1.4 December 2013 For further information please contact Digital River customer support at 0800 756 3350 or clientsupport.uk@digitalriver.com. 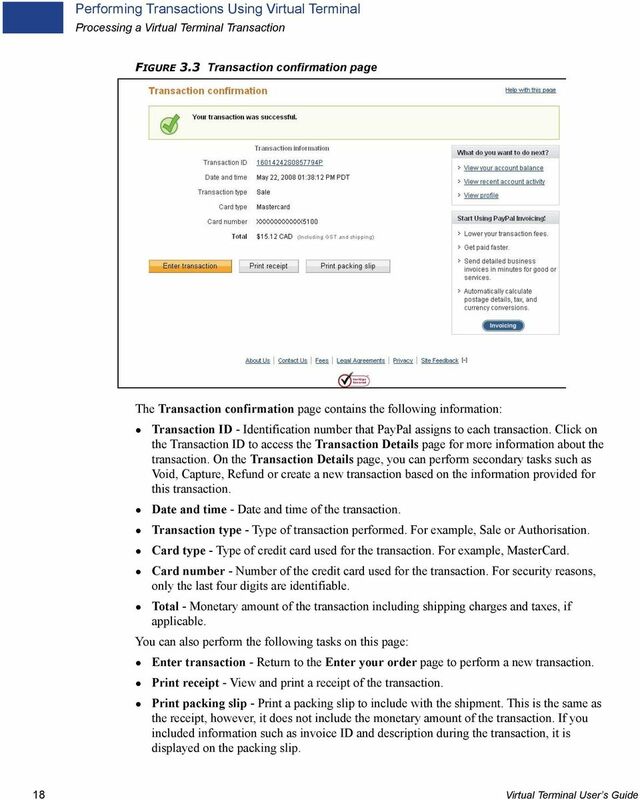 Guide to BBPS and BBMS Blackbaud Payment Services and Blackbaud Merchant Services explained. What is BBPS/BBMS? 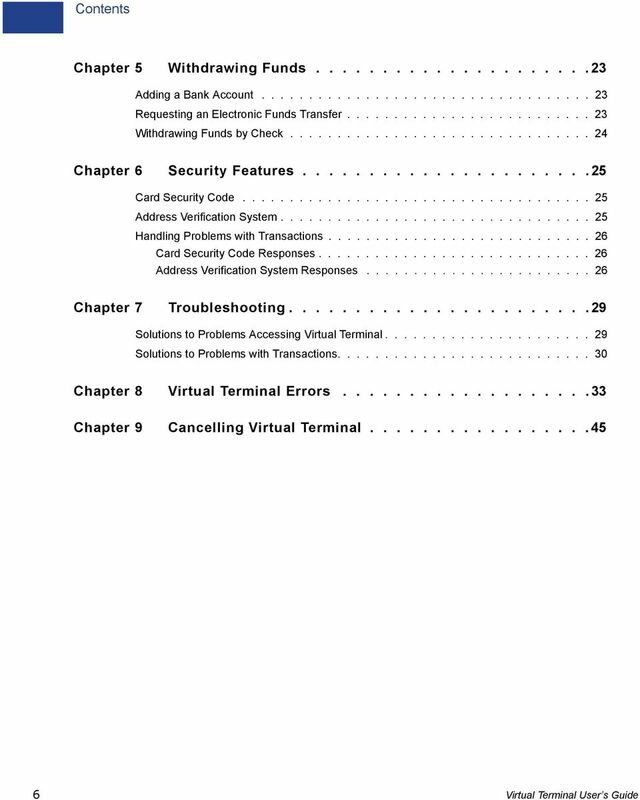 Blackbaud Payment Services (BBPS) is Blackbaud s solution for secure credit card storage. The information in this document belongs to Digibilly. It may not be used, reproduced or disclosed without written approval.